If you are going through a struggle and can't seem to see your way, HOLD ON, it may just turn around. Take the time to see what is causing your struggle. What is that irritant in your life? Who or what is slowing your progress down? I say to you, "You are more than a conquerer & you shall exceed!" If fear is an irritant, you can conquer that also. You can overcome adversity. know it seems hard, but take a look at ALBERT EINSTEIN'S life. He had one of the greatest minds of his century, but he had dyslexia. According disabled-world.com/artman/publish/article_2130.shtml , "He would not remember the months in the year yet he would succeed in solving some of the most complicated mathematical formulas of the time without any trouble. He may have never learned how to properly tie his shoelace, but his scientific contributions and theories still have a major effect on all of today's current knowledge of science." So never let any one nor anything have you thinking you can't succeed. We all have different talents & successes in life. Einstein could have wasted his talent because of dyslexia, but he didn't. He strove for what he desired. There are other people whom overcame adversity over the years. For example, WALT DISNEY had the same learning disorder as Einstein. Walt Disney kept his eye on the prize. He kept pressing on & attended the ACADEMY of FINE ARTS while he also attended high school. That's what I call persevering to attend two schools at the same time. He didn't give up on his goals or dreams because of an irritant called dyslexia. NOOOO, HE DID NOT GIVE UP. He used it as a STEPPING stone & moved on. If there is an irritant ( person or thing) trying to stand in your way, let it make you stronger & accomplish your goals. You can do it! ALWAYS REMEMBER, YOU CAN DO ANYTHING YOU PUT YOUR MIND TO. DON'T give up! Learn from your struggle, so that you can move HIGHER. Some of the most beautiful things come from your STRUGGLE ( irritant). 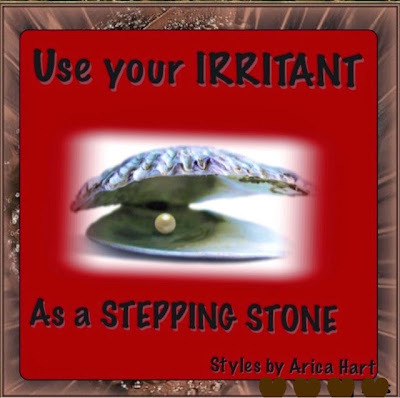 Use your IRRITANT as a STEPPING STONE. NEVER let ANYONE or ANYTHING have the power to hold you back! A oyster can use its irritant (sand or small pieces of rocks which has gotten in its shell) to make a pearl. An OYSTER protect itself from the irritants (sand) by secreting a liquid called nacre to cover the irritant & make it smoother. This forms a PEARL in about 3 years. If an OYSTER can form a pearl, imagine what you can form with your irritants. 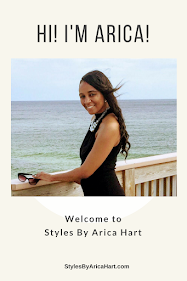 SO WHEN OBSTACLES COME UP OR DIRT IS THROWN AT YOU, MAKE A PEARl. Have a BLESSED DAY, MOVING HIGHER !!!!!! FINAL THOUGHT - THE GOAL IS TO TURN YOUR IRRITANT INTO A PEARL. SHARE SOME WAYS TO SUCCEEDED IN OVER COMING ANY OBSTACLES (IRRITANTS)? TELL US ABOUT YOUR VICTORY IN THE COMMENT, YOU JUST MIGHT HELP SOMEONE ELSE !!! Another lessons from Grand,a | Grammy said, "Do that hair "